Lycium ruthenicum is a defoliated shrub belonging to the family Solanaceae. It is mainly distributed in the desert regions of Northwest China, Central Asia, the Caucasus, Europe, Mongolia, and North African countries along the Mediterranean Sea. It is widely used as healthy vegetables and natural medicine foods in Asian for containing numerous functional components in leaves, roots and fruits. Here, tetraploid plants of L. ruthenicum were obtained with colchicine in vitro. The photo shows the morphological comparison of 8-month-old diploids and tetraploids seedlings. The left: Diploid plants; The right: Tetraploid plants (This issue, p. 160–168). Sago palm (Metroxylon sagu Rottb.) is one of the most productive carbohydrate-producing crops. Unfortunately, only limited information regarding sago palm genetics is available. This study aimed to develop simple sequence repeat (SSR) markers using sago palm NGS genomic data and use these markers to evaluate the genetic diversity of sago palm from Indonesia. De novo assembly of partial sago palm genomic data and subsequent SSR mining identified 29,953 contigs containing 31,659 perfect SSR loci and 31,578 contigs with 33,576 imperfect SSR loci. The perfect SSR loci density was 132.57/Mb, and AG, AAG and AAAT were the most frequent SSR motifs. Five hundred perfect SSR loci were randomly selected and used for designing SSR primers; 93 SSR primer pairs were identified. After synteny analysis using rice genome sequences, 20 primer pairs were validated using 11 sago palm accessions, and seven primers generated polymorphic alleles. Genetic diversity analysis of 41 sago palm accessions from across Indonesia using polymorphic SSR loci indicated the presence of three clusters. These results demonstrated the success of SSR identification and marker development for sago palm based on NGS genome data, which can be further used for assisting sago palm breeding in the future. Bacterial spot (caused by Xanthomonas arboricola pv. pruni) is a serious disease and difficult to control in peach cultivation, and inheritance manner of susceptibility is unclear. Five hundred and fourteen offspring and their parents from 27 peach full-sib families were evaluated for susceptibility to bacterial spot by evaluating lesion length value (LLV) after artificial inoculation to shoots from trees growing in the field. Brazilian cultivars including ‘Chimarrita’ and selections derived from them had notably lower LLVs ranging from 0.302 to 0.490 than those from Japanese cultivars/selections ranging from 0.514 to 1.295. Family means in offspring crossed between Brazilian cultivars/selections (low LLVs) and other cultivars/selections (high LLVs) showed rather low LLVs, whose values were close to Brazilian cultivar/selection parents. These results suggested that the susceptibility was controlled by single major gene and that the Brazilian and Japanese cultivar/selection parents showed dominant and recessive homozygotes, respectively. In contrast, the LLVs of family means were very high ranging from 0.719 to 1.194 in offspring population derived from crosses among Japanese cultivars. Repeated backcrosses of Brazilian cultivars/selections with Japanese cultivars/selections having high fruit quality are proposed as an effective method for developing new cultivars combining bacterial spot resistance and fruit quality in Japan. Cryptomeria japonica is a major forestry tree species in Japan. Male sterility of the species is caused by a recessive gene, which shows dysfunction of pollen development and results in no dispersed pollen. Because the pollen of C. japonica induces pollinosis, breeding of pollen-free C. japonica is desired. In this study, single nucleotide polymorphism (SNP) markers located at 1.78 and 0.58 cM to a male sterility locus (MS1) were identified from an analysis of RNA-Seq and RAD-Seq, respectively. SNPs closely linked to MS1 were first scanned by a method similar to MutMap, where a type of index was calculated to measure the strength of the linkage between a marker sequence and MS1. Linkage analysis of selected SNP markers confirmed a higher efficiency of the current method to construct a partial map around MS1. Allele-specific PCR primer pair for the most closely linked SNP with MS1 was developed as a codominant marker, and visualization of the PCR products on an agarose gel enabled rapid screening of male sterile C. japonica. The allele-specific primers developed in this study would be useful for establishing the selection of male sterile C. japonica. Capsanthin, the main carotenoid of red pepper fruits, is beneficial for human health. To breed pepper (Capsicum annuum L.) with high capsanthin content by marker-assisted selection, we constructed a linkage map of doubled-haploid (DH) lines derived from a cross of two pure lines of C. annuum (‘S3586’ × ‘Kyoto-Manganji No. 2’). The map, designated as the SM-DH map, consisted of 15 linkage groups and the total map distance was 1403.8 cM. Mapping of quantitative trait loci (QTLs) for capsanthin content detected one QTL on linkage group (LG) 13 at 90 days after flowering (DAF) and one on LG 15 at 45 DAF; they were designated Cst13.1 and Cst15.1, respectively. Cst13.1 explained 17.0% of phenotypic variance and Cst15.1 explained 16.1%. We grouped DH lines according to the genotypes of markers adjacent to Cst13.1 and Cst15.1 on both sides. The DH lines with the alleles of both QTLs derived from ‘S3586’ showed higher capsanthin content at 45 and 90 DAF than the other lines. 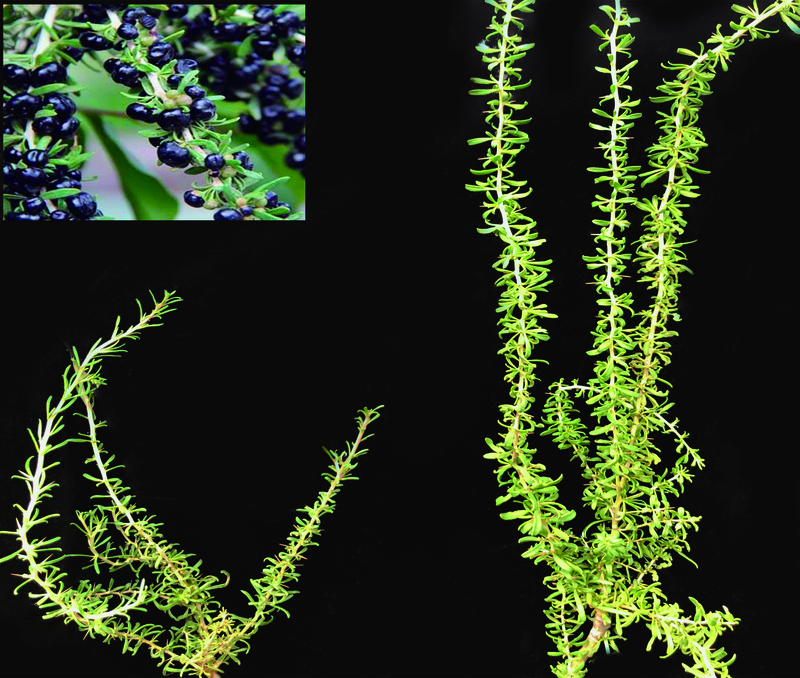 This is the first identification of QTLs for capsanthin content in any plant species. The data obtained here will be useful in marker-assisted selection for pepper breeding for high capsanthin content. The brown planthopper (BPH) is a serious insect pest of rice and a substantial threat to rice production. Identification of new BPH resistance genes and their transfer into modern rice cultivars are effective breeding approaches to reduce the damage caused by BPH. In this study, we mapped a BPH resistance gene to a 50-kb genomic interval between two InDel markers 4M03980 and 4M04041 on the short arm of chromosome 4 in indica rice cultivar BP60, where the BPH resistance gene was mapped in Rathu Heenati by Liu et al. (2015) and named “Bph3”. This region contains two annotated genes Os04g0201900 and Os04g0202300, which encode lectin receptor kinases responsible for BPH resistance. We also developed a molecular marker “MM28T” for Bph3, and introgression Bph3 into susceptible rice restorer lines Guihui582 and Gui7571 by the marker-assisted selection (MAS) approach. The BPH resistance level is significantly enhanced in the Bph3-introgression lines, the resistance scores decrease from 8.2 to 3.6 for Guihui582 and decrease from 8.7 to around 3.8 for Gui7571. Therefore, developing molecular markers for the BPH resistance gene Bph3 and using them for molecular breeding will facilitate the creation of BPH-resistance rice cultivars to reduce damage caused by BPH. Identification and validation of major and minor QTLs controlling seed coat color in Brassica rapa L.
Seed coat color is an important agronomic trait in Brassica rapa. Yellow seeds are a desirable trait for breeding oilseed Brassica crops. To identify quantitative trait loci (QTLs) that condition seed coat color in B. rapa, we used a population of recombinant inbred lines (RILs) derived from crossing 09A001, a standard rapid-cycling (RcBr) inbred line of B. rapa L. ssp. dichotoma with yellow seeds, with 08A061, an inbred line of heading Chinese cabbage with dark brown seeds. Using two phenotypic scoring methods, we detected a total of nine QTLs distributed on four chromosomes (Chrs. ), A03, A06, A08, and A09, that explained 3.17 to 55.73% of the phenotypic variation for seed color. To validate the effects of the identified QTLs in the RIL population, chromosome segment substitution lines (CSSLs) harboring the chromosomal segment carrying the candidate QTL region from 08A061 were selected, and two co-localized major QTLs, qSC9.1 and qSCb9.1, and one minor QTL, qSC3.1, were successfully validated. The validated QTL located on Chr. A03 appears to be a new locus underlying seed coat color in B. rapa. These findings provide additional insight that will help explain the complex genetic mechanisms underlying the seed coat color trait in B. rapa. Accurate evaluation of morphological and physiological traits is critical for selection of wheat (Triticum aestivum L.) cultivars exhibiting high yield, which is stable over different growing conditions. In order to use selection index based on high yield, high grain quality and drought tolerance in wheat, a set of 145 CIMMYT Wheat Physiological Germplasm Screening Nursery lines and seven local spring wheat varieties were phenotyped and evaluated for physiological and yield traits under two irrigation regimes during the 2011 and 2012 growing seasons in Xinjiang, China. The results showed that drought-stress significantly increased canopy temperature but reduced grain yield, grain weight per spike, normalized difference vegetation index at the flowering and grain filling stages, chlorophyll content at the grain filling stage, grain plumpness, grain number per spike, thousand-grain weight, and plant height. Grain weight per spike, plant height and grain plumpness explained 61.8% of the total phenotypic variation in grain yield under no-stress conditions, where they were the three principal factors most closely related to grain yield. Under drought-stress conditions, canopy temperature at the grain filling stage, plant height and grain plumpness were the three principal factors affecting grain yield, and contributed 44.8% of the total phenotypic variation in grain yield. Finally, ten genotypes, including three local varieties, ‘Xinchun 11’, ‘Xinchun 23’ and ‘Xinchun 29’, with appropriate plant height and high and stable yield under both no-stress and drought-stress conditions over the two years of trials, were identified and can be recommended as core parents for spring wheat drought tolerance breeding in Xinjiang, China. The fungal pathogen Pyricularia oryzae causes blast, a severe disease of rice (Oryza sativa L.). Improving blast resistance is important in rice breeding programs. Inoculation tests have been used to select for resistance genotypes, with DNA marker-based selection becoming an efficient alternative. No comprehensive DNA marker system for race-specific resistance alleles in the Japanese rice breeding program has been developed because some loci contain multiple resistance alleles. Here, we used the Fluidigm SNP genotyping platform to determine a set of 96 single nucleotide polymorphism (SNP) markers for 10 loci with race-specific resistance. The markers were then used to evaluate the presence or absence of 24 resistance alleles in 369 cultivars; results were 93.5% consistent with reported inoculation test-based genotypes in japonica varieties. The evaluation system was successfully applied to high-yield varieties with indica genetic backgrounds. The system includes polymorphisms that distinguish the resistant alleles at the tightly linked Pita and Pita-2 loci, thereby confirming that all the tested cultivars with Pita-2 allele carry Pita allele. We also developed and validated insertion/deletion (InDel) markers for ten resistance loci. Combining SNP and InDel markers is an accurate and efficient strategy for selection for race-specific resistance to blast in breeding programs. The introgression from genetically modified soybean (Glycine max (L)) to wild soybean (Glycine soja Sieb. et Zucc.) could be threat the genetic diversity of wild soybean. Flowering synchrony is essential to the occurrence of outcrossing, but the flowering phenology of wild soybean is less well researched than that of cultivated soybean. We developed models to predict flowering initiation of wild soybean, based on the flowering initiation dates of wild soybean five accessions from different latitudes (31.4°N to 42.6°N) in growth chambers in which temperature and day length varied. Our proposed models predicted the flowering initiation date of wild soybean in the natural habitat well; the averaged difference from observed date in 5 areas was −1.8 days (−8 to +5). In the long day condition, there was a clear latitudinal cline of photoperiodic sensitivity throughout Japan. Accessions in southern part of Japan archipelago required higher temperature even under the short-day conditions and northern accessions were less-sensitive to long-day conditions. Our result showed the possibility of predicting the flowering initiation of wild soybean, corresponding to latitudes. To understand variation in the root development traits (total root length (TRL), maximum root length (MRL) and root number) of 18 New Rice for Africa (NERICA) varieties, seedlings were hydroponically grown under deficient and sufficient concentrations of two forms of nitrogen, NH4+ and NO3−. The donor African rice variety, ‘CG14’ (Oryza glaberrima Steud. ), showed greater TRL and MRL than three background Asian rice varieties (Oryza sativa L.). Wide distribution was observed in all traits of the 18 NERICAs. The 18 NERICAs and parental varieties were classified into three cluster groups by cluster analysis. Cluster Ia included only ‘CG14’. Comparative analysis characterized cluster Ib (including ‘NERICA7’) as an active root elongation group, and cluster II (including ‘WAB56-104’) as an active primordia development group. QTL analysis of F2 plants developed from a cross between ‘WAB56-104’ and ‘NERICA7’ detected two putative quantitative trait loci (QTLs) for root elongation on chromosome 1. Of these, a major QTL, designated as qRL1.4-NERICA7, was an NH4+-responsive QTL, which was narrowed down to a 0.7-Mbp region through progeny testing using F7 lines. qRL1.4-NERICA7 should help us understand genetic control in NERICAs, and improve root elongation in rice breeding programs. Genetic dissection of harvest index and related traits through genome-wide quantitative trait locus mapping in Brassica napus L.
The harvest index (HI) is the ratio of grain yield to the total biomass and represents the harvestable yield of crops. In Brassica napus, the HI is lower than that of other economically important crops, and limited relevant studies have been carried out regarding this issue. In this study, phenotypic analyses of 11 related traits showed the complexity of HI and the feasibility of cultivating desirable varieties with high HI. Quantitative trait loci (QTL) mapping based on a high-density genetic map identified 160 QTL, 163 epistatic loci pairs for HI and three closely related traits: seed yield (SY), biomass yield (BY) and plant height (PH), including two, five and three major QTL for HI, SY and PH, respectively. The related candidate genes underlying the QTL and epistatic loci with coding region variation were identified and investigated, including BnaA02g14010D, homologous to OsTB1, which functions as a negative regulator for lateral branching, and BnaA02g18890D, homologous to OsGW2, which controls grain width and weight. The complex correlation of HI with related traits, numerous QTL and epistatic loci and the candidate genes identified here provide new insights into the genetic architecture of HI, which might further enhance effective breeding strategies for yield improvement in rapeseed. Petunia (Petunia hybrida) is an important ornamental plant with a wide range of corolla colors. Although pale-yellow-flowered cultivars, with a low amount of carotenoids in their corollas, are now available, no deep-yellow-flowered cultivars exist. To find why petunia cannot accumulate enough carotenoids to have deep-yellow flowers, we compared carotenoid profiles and expression of carotenoid metabolic genes between pale-yellow-flowered petunia and deep-yellow-flowered calibrachoa (Calibrachoa hybrida), a close relative. The carotenoid contents and the ratios of esterified xanthophylls to total xanthophylls in petunia corollas were significantly lower than those in calibrachoa, despite similar carotenoid components. A lower esterification rate of trans-xanthophylls than of cis-xanthophylls in petunia suggests that petunia xanthophyll esterase (XES) has low substrate specificity for trans-xanthophylls, which are more abundant than cis-xanthophylls in petunia corolla. The expression of genes encoding key enzymes of carotenoid biosynthesis was lower and that of a carotenoid catabolic gene was higher in petunia. XES expression was significantly lower in petunia. The results suggest that low biosynthetic activity, high cleavage activity, and low esterification activity cause low carotenoid accumulation in petunia corollas. Flowering time control in plants is a major limiting factor on the range of species. Day length, perceived via the photoperiodic pathway, is a critical factor for the induction of flowering. The module of GIGANTEA (GI)-CONSTANS (CO)-FLOWERING LOCUS T in the long day (LD) plant Arabidopsis is conserved in diverse plant species including the short day (SD) plant rice, where this module comprises OsGI-Heading date 1 (Hd1)-Heading date 3a. Hd1, the rice ortholog of Arabidopsis CO, has dual functions in the regulation of flowering time, promoting flowering in SD conditions and delaying it in LD conditions. We herein show genetic interactions among three LD repressor genes: Hd1, Grain number, plant height and heading date 7 (Ghd7), and Oryza sativa Pseudo-Response Regulator37 (OsPRR37). Genetic analyses, including segregation analyses, evaluations of near isogenic lines, and transformation for flowering time demonstrated that Hd1 promoted flowering time in inductive SD and non-inductive LD conditions in genetic condition of loss-of-function Ghd7 and OsPRR37 (ghd7osprr37) in rice. Functional Ghd7 or OsPRR37 may switch the genetic effects of Hd1 from the promotion to the delay of flowering times in LD conditions. Pungency is a characteristic trait of pepper (Capsicum spp.). Two genes, Pun1 and pAMT, are known as determinative factors of pepper pungency. To date, it has been considered that most bell-type sweet peppers (called piman and paprika, in Japan) possess the identical mutated Pun1 allele, pun1, whereas pAMT mutated non-pungent pepper has been found only in non-bell-type pepper. In this study, to reconsider the uniformity of the source of non-pungency in sweet bell pepper and explore new genetic resources, the presence of pun1 was investigated in 26 sweet bell pepper varieties. Among them, a seemingly common sweet bell pepper ‘Color Piman Yellow’ had the intact Pun1, in spite of its non-pungency. Sequencing and linkage analyses revealed that ‘Color Piman Yellow’ possessed a novel mutated pAMT allele, pamt10, that has a nonsense substitution at the 11th exon responsible for non-pungency. This is the first pAMT mutant to be found in sweet bell pepper. The finding that there was a pAMT mutant in sweet bell pepper suggests the possibility that more pAMT mutants exist unconsciously in other sweet bell peppers. The discovery of a new factor of non-pungency contributes to expanding the genetic diversity of sweet pepper varieties. Stigma exsertion can enhance the outcrossing fertility in rice. Dominant genes for this trait are expected to be essential for the effective application of a novel outcrossing-based breeding system that uses male sterility in rice, which is normally autogamous. Because reduction of stigma exsertion is a domestication trait, we screened wild rice species as possible donors of genes or QTLs for stigma exsertion. We used in silico image-based screening and selected the Oryza rufipogon accession ‘W0120’. A single F1 individual derived from a cross between the japonica rice cultivar ‘Akidawara’ and ‘W0120’ was used to generate F2 and BC1F1 populations. QTL analysis performed using 114 F2 individuals detected QTLs on chromosomes 2, 3, 4, 8, and 11. Only two major QTLs on chromosomes 3 and 8 showed higher degrees of dominance. On the other hand, there were no QTLs near GS3, which is well known as a gene for stigma exsertion. Validation of these QTLs using 188 BC1F1 individuals provided clear evidence for their dominance. Genotypes of the markers nearest to the two QTLs were also related to grain length. We expect the genes responsible for these QTLs to be promising tools for improving outcrossing-based breeding in rice. Although an indeterminate growth habit is attractive to develop high-yield soybean varieties with higher number of pods (Glycine max (L). Merr. ), lodging in indeterminate varieties remains a problem in Japan. As the semi-determinate varieties have shorter main stem length than the indeterminate varieties, this trait can be useful to improve varieties with high yield and low lodging risk. We introduced the genes Dt1 and Dt2, which regulate stem growth habit, into three determinate varieties by backcrossing and evaluated the resulting effects on yield and lodging tendency under four different growing environments. The yield and lodging degree of the semi-determinate and indeterminate lines were higher and more severe than those of the determinate lines. Despite the lower overall lodging score, the semi-determinate lines had marginally lower overall yield than that of the indeterminate lines. However, the effect of introduction of semi-determinate traits on yield and lodging degree was different in the three backgrounds, with the yield of semi-determinate lines being the highest and the difference in lodging degree between the semi-determinate and determinate lines being under 1.0 in one background. Therefore, semi-determinate growth habit has potential to develop high yielding varieties with low lodging risk. Lycium ruthenicum of Solanaceae was widely used as healthy vegetables and natural medicine foods for containing numerous functional components in leaves, roots and fruits. In the present study, tetraploid plants of L. ruthenicum were obtained efficiently by treating their leaves with colchicine in vitro. The highest induction frequency of the tetraploids was 31.4%, which was obtained by preculturing the leaves for 10 days and then treating them with 100 mg/L of colchicine concentration for 48 h. The ploidy levels of the regenerated plants were determined by flow cytometry and chromosome counting methods. Cytological, morphological, and histological characterization validated the results of flow cytometry, revealing the differences between the two kinds of ploidy plants in their tissue culture stage and field production stages. Morphological indexes also provide a simple and intuitionistic method for distinguishing tetraploid from diploid plants. As the chromosome number increased, the stomatal size and number of the chloroplasts in the stomata also increased, but the stomatal density decreased. The results indicate that the chromosome number is correlated with the stomatal index. The generated tetraploid is a potentially useful cultivated variety and will be beneficial for producing triploid progeny in the future. Water stress, in a climate change scenario is one of the major threats for sustainable rice productivity. Combining drought resistance with yield and desirable economic traits is the most promising solution for the researchers. Although several studies resulted in the identification of QTLs for drought resistance in rice, but none of them serve as a milestone. Therefore, there is always a quest to find the new QTLs. The present investigation was carried out to map QTLs involved in drought resistance and yield related parameter in a cross of IR55419-04 and Super Basmati. An F2 population of 418 individuals was used as the mapping population. The raised nursery was transplanted in lyzimeters. Two extreme sets of tolerant (23 Nos.) and sensitive (23 Nos.) individuals were selected based on total water uptake under water stress conditions. Two hundred thirty microsatellite markers staggered on the whole genome were used for identifying polymorphic markers between the two parents. The selected 73 polymorphic microsatellites were used to genotype individuals and were scattered on a distance of 1735 cM on all 12 linkage groups. QTL analysis was performed by using the WinQTL Cartographer 2.5 V. A total of 21 QTLs were detected using composite interval mapping. The QTLs relating to drought tolerance at the vegetative stage were found on chromosome 1. Novel genomic regions were detected in the marker interval RM520-RM143 and RM168-RM520. The region has a significant QTL qTWU3.1 for total water uptake. Root morphological trait QTLs were found on chromosome 3. QTLs responsible for additive effects were due to the alleles of the IR55419-04. These novel QTLs can be used for marker assisted breeding to develop new drought-tolerant rice varieties and fine mapping can be used to explore the functional relationship between the QTLs and phenotypic traits. Brassica rapa or B. napus vegetables for eating as young inflorescences and stalks are called “nabana”. Japanese nabana includes “flower-bud type” and “stem-and-leaf type”. Chinese and European types are also known (cai-xin, zicaitai, and broccoletto). We classified nabana belonging to B. rapa and other B. rapa vegetables. In a simple sequence repeat-based phylogram, 49 ingroup samples were classified into four groups (I–IV). Flower-bud and stem-and-leaf types were separated into groups I and III, respectively, with a slight overlap in group II. Cai-xin and non-heading Chinese cabbages were included in group IV. Broccoletto was placed in group III, close to turnips. Zicaitai cultivars were included in group II. We tested for clubroot resistance (CR) and its marker genotypes in nabana because of their agronomical importance. Ten cultivars were resistant to group 4 pathogen but not to group 2. Most of the CR cultivars had heterozygous resistance alleles in the CRb and Crr1 loci, consistent with inoculation tests. Our results suggest that Japanese nabana lines and foreign types were differentiated according to their consumption parts and cultivar origins, respectively. This study elucidates the relationships and CR properties of nabana and provides valuable information for the breeding of nabana cultivars. Homeotic alteration phenotype of the flowers in Daucus carota are widely used for hybrid breeding, consequently molecular markers tightly-linked to such phenotype are in demand. Here we report the identification of a gene locus responsible for the phenotypic expression of stamen conversion into a petal-like structure, or petaloid. Using a segregating population and sequencing analysis of two bulked populations, we discovered a large contributing peak on the long arm of chromosome 4. DcMADS2, a homolog of the B-class floral homeotic gene PISTILLATA, found at the center of the peak region, was considered the strongest candidate causal gene. We established PCR primers that could be used to distinguish the two DcMADS2 alleles linked to each petaloid- and non-petaloid-phenotype.